I hope that everyone had a wonderful Easter yesterday! I spent the day playing with Ian and Jon and enjoying candy and the other goodies Ian received in his Easter basket. Easter is such a happy and joyous holiday- and the weather yesterday only served to highlight that fact and put the whole family in a wonderful mood. It was so fun to see Ian explore his Easter basket and marvel at the items the Easter Bunny delivered. 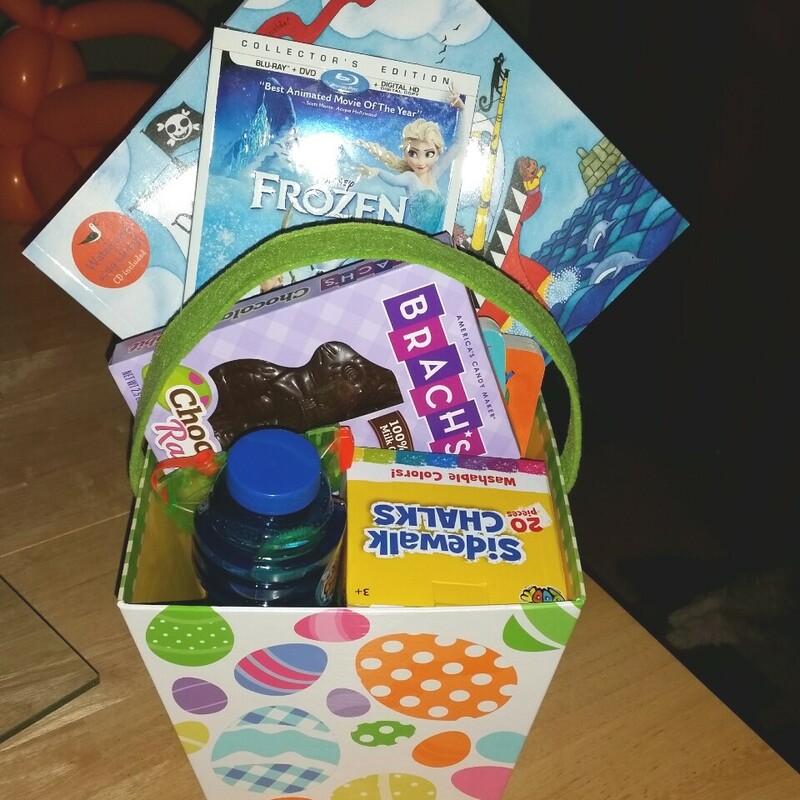 We didn’t go too crazy, and definitely avoided a huge pile of candy, but he was supremely excited with what he did find: books, hand stamps, bubbles, 2 little water guns, sidewalk chalk, 2 small bags of candy, a chocolate bunny, and “Frozen” (the movie). 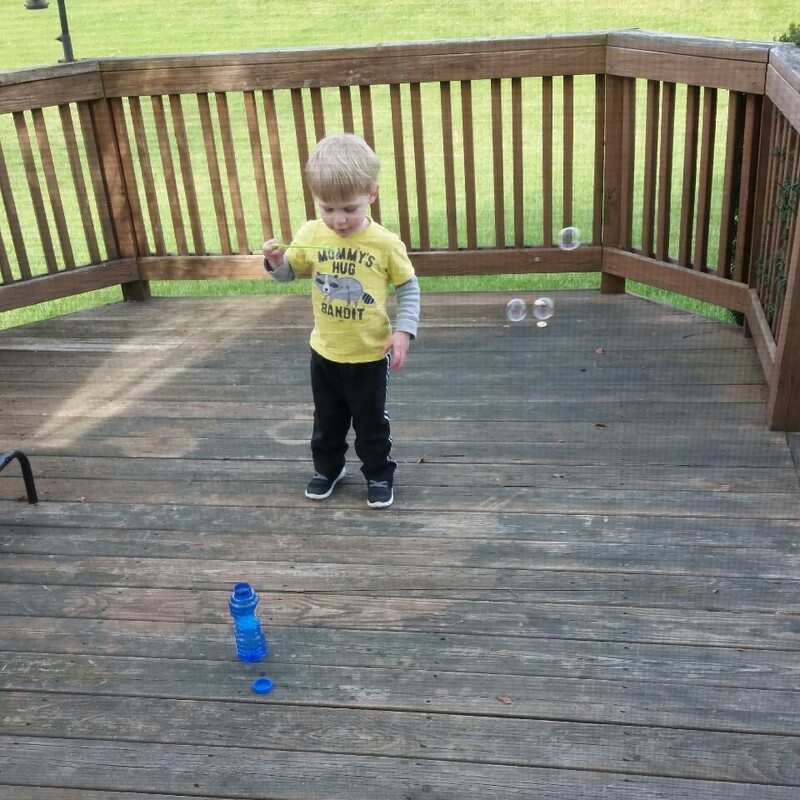 He was especially thrilled with the hand stamps and the bubbles, and we spent most of the gorgeous afternoon blowing and catching bubbles outside. 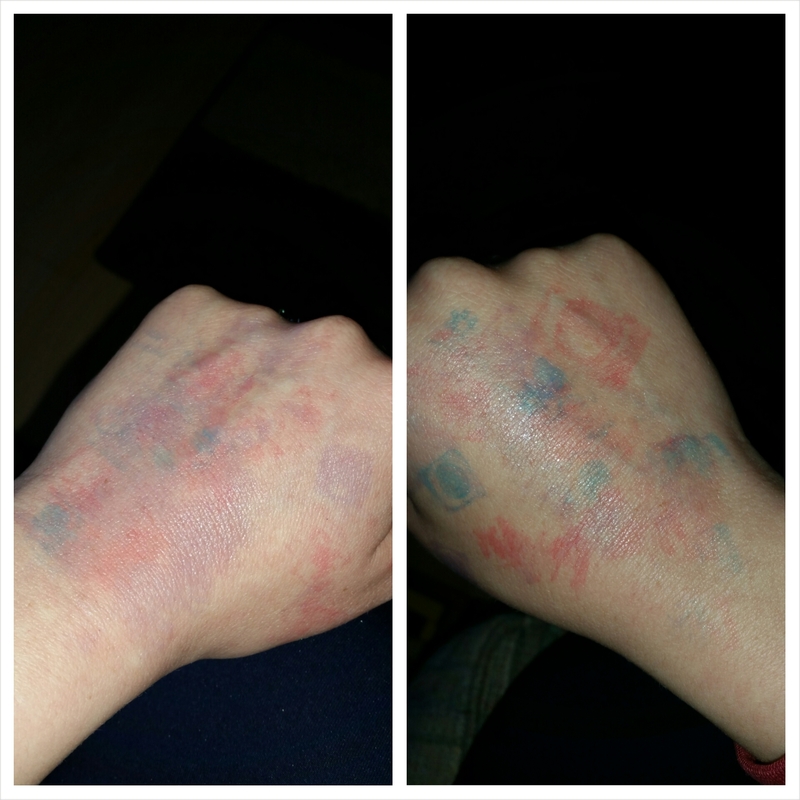 I also was the reluctant recipient of an assortment of hand stamps. It was a little ridiculous how excited he was to have HIS VERY OWN hand stamps, but hey- if he’s happy, I’m happy! And that $3 package of stamps and ink was WELL worth it! 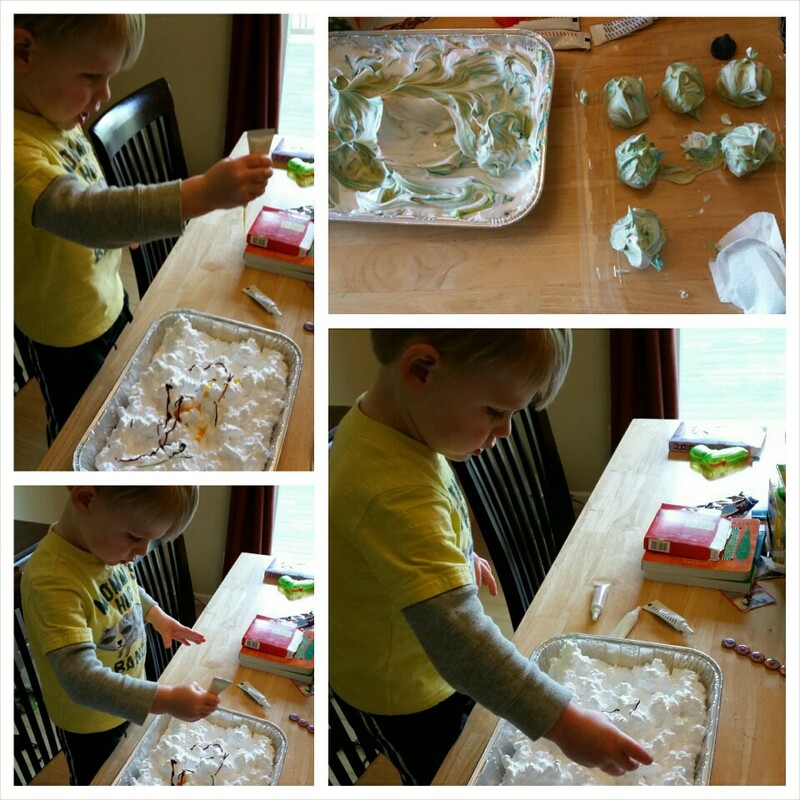 We also tried our hand at dyeing eggs (via the shaving cream and food coloring method). It was EXTREMELY messy, and I haven’t cleaned the shaving cream off yet to see how our eggs turned out, but it was a lot of fun. So even if our eggs have absolutely zero color, I’d still consider it a success. 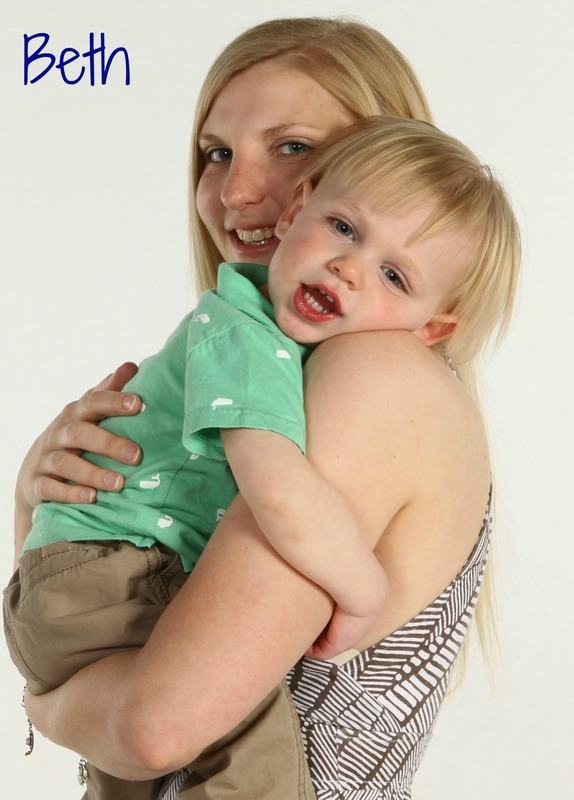 We got to do a project together that we both really enjoyed. 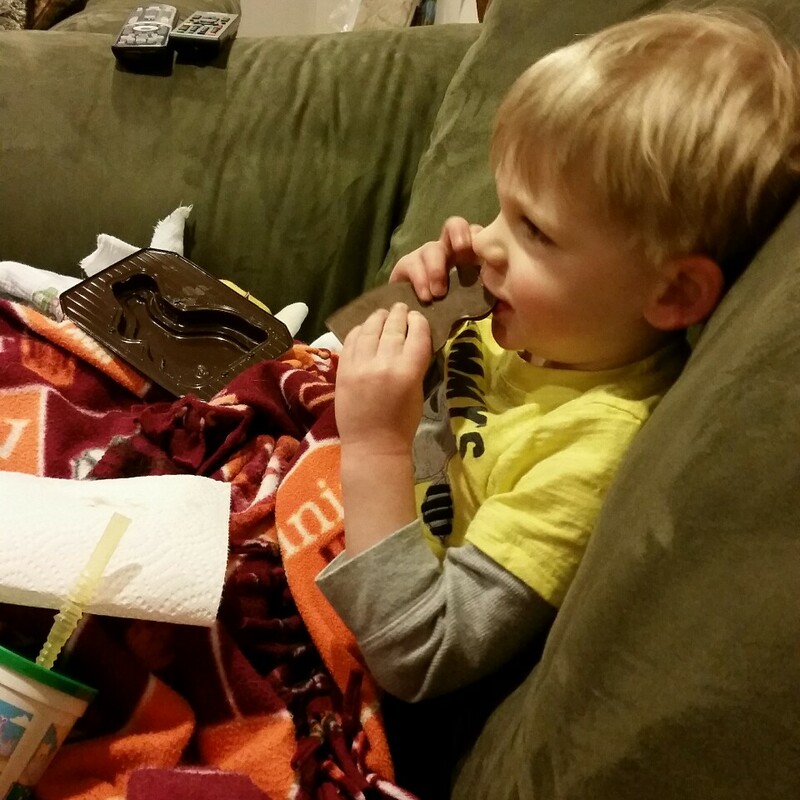 Later in the evening, we snuggled up together on the couch and watched “Frozen” while Ian ate some of his chocolate bunny. All in all, it was a wonderful Easter. How did you spend your Easter? Does the bunny visit your house or do you have some other tradition(s)?